Have you heard the phrase “the best things in life aren’t things”? I have a feeling you may say the most important thing to you is your family and the memories and experiences you’ve had with them. How do you show your family how important they are to you? Did you you know that hanging family portraits up on your walls is a wonderful way to show your children how proud you are of them and it also increases your children’s confidence in who they are. They are part of a legacy, something much more important than random stuff. 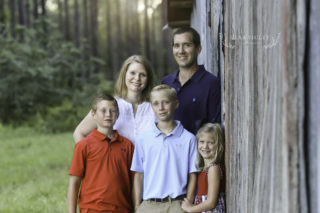 Below are some of the families who have chosen to have family pictures in Dothan. Above are the Dalrymples of Enterprise, Alabama. Entering their home, you know they love and adore their children. They had family art hanging beautifully in their living room, however, it was several years old. I had the privilege of creating new art for them. They chose a collage of heirloom canvases to update their family portraits. The canvases were created through a skilled professional printer I have chosen to use. They were beyond thrilled with what they received! Here in Panama City Beach are the Fowlers. They didn’t only have family portraits hanging but also gorgeous oil paintings of their children. Tara explained that it was a family tradition to have their children done in oil on canvas. I’ve seen this in a handful of Dothan homes. What an treasure for their children to own later in life. 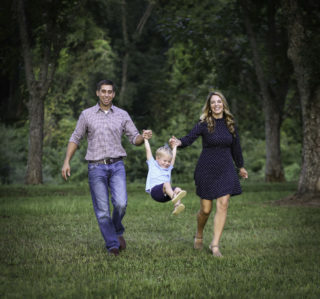 The Goodman’s, also of Enterprise, Alabama with their son Owen. It’s evident that their son is their pride and joy. Once again they have shown this to him with beautiful family portraits in their home. They will add to these portraits with gorgeous fine art canvases from our session together. The holidays are right around the corner. Contact, me, Kim, right here, about family portraits to display in your home through heirloom canvases, fine art papers and lagniappe (barnwood) canvases. When you purchase the art, you also get the digital file. A nice bonus! 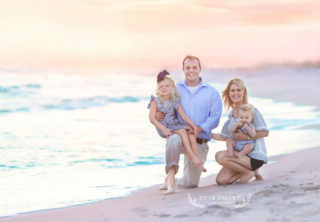 Kimberly Thomas is a Dothan, Alabama family photographer. She also has a Facebook page right here. She specializes in families, women, children, seniors and maternity in the Wiregrass areas including Dothan, Enterprise, Ozark, Headland and surrounding areas. She also offers a full line of heirloom quality canvases and papers that the portraits are printed on. Hope to hear from you soon!